Human beings are social creatures. We crave attention and recognition, and we yearn for interaction with each other. This is especially true in a relationship, where both parties shower each other with all the love and attention they can give. Being in a relationship can be a wonderful experience, but sometimes we become so dependent on our partners that we let the fear of abandonment affect our relationship. In a bid to avoid any chance of being abandoned by our loved ones, we start to become over-controlling and encroach upon the personal space of our partners. We become extremely insecure, worried that our partners will leave us at any time. Do you find yourself constantly looking for signs that your partner is going to suddenly leave you? Are you unable to find peace within yourself about your relationship? Do you often think that your partner is going to find someone better and run away from you? Have you often wished to rid yourself of these insecure feelings and start becoming that confident, assertive person that you really are? The fear of abandonment causes us to become over-controlling, ironically putting a strain on our relationships as our partners are unable to have sufficient ‘breathing space’. 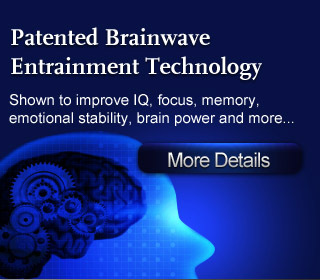 Thankfully, with today’s advanced Brainwave technology, we can finally eliminate all feelings of insecurity and fear of abandonment to achieve the healthy, balanced relationship that we’ve always wanted. No reviews on C11 Eliminate Fear Of Abandonment so far.